(?) The given price is the lowest available and will tend to fluctuate according to the ratio of flooring needed. Check Stock Availability Before You Order! The given price range is the lowest available and will tend to fluctuate according to the ratio of flooring needed. Provide us the address and the date when these flooring would be needed and we shall get back to you within 1 business day. The Provenza Old World hardwood collection consists of wire brushed, hand distressed and scraped floors, in combination with an innovative technique of smoking and carbonizing to create these one-of-a-kind masterpieces for your home. Character grading varies between colors - from Select to Heavy character. Old World hardwood comes in a wide range of beautiful colors and shades. 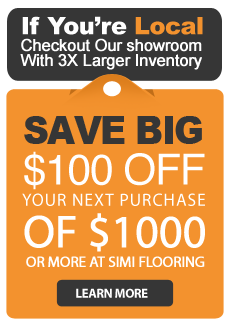 Come to our Simi Valley showroom to see these beautiful floors for yourself.